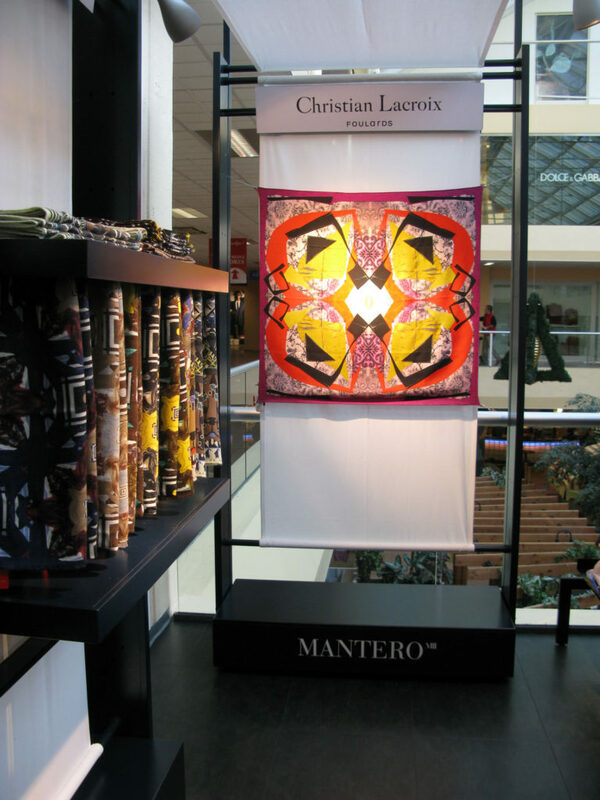 The opportunity of getting a commercial space at Fox Town shopping center in Mendrisio gave Mantero the idea of having a new concept retail store, designed by AR.CH.IT Luca Cipelletti. 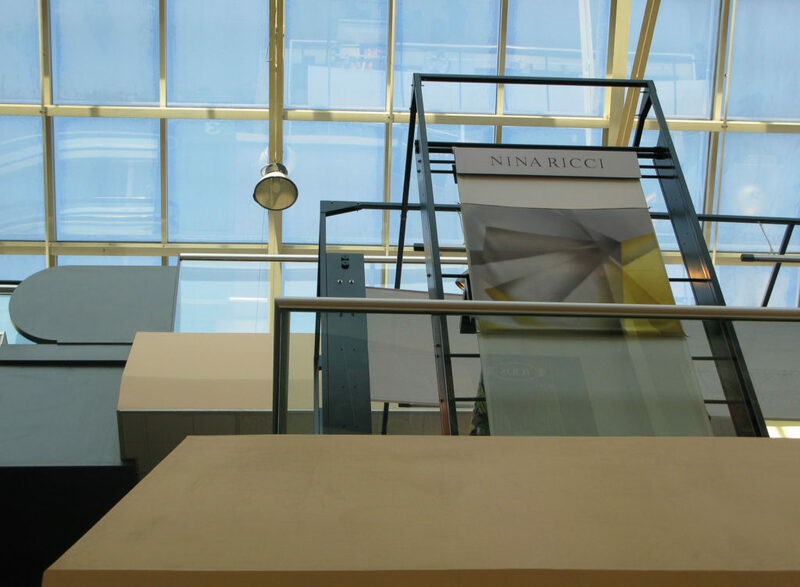 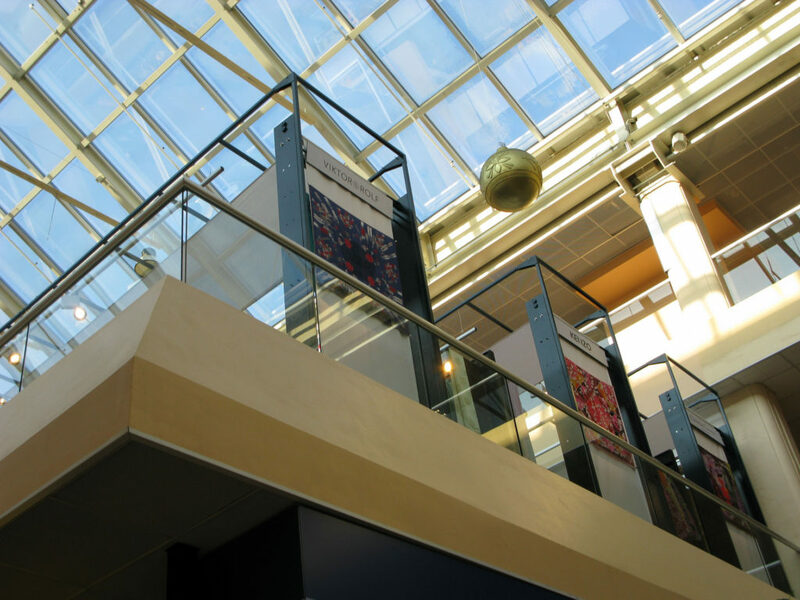 The hardest part of the project was dealing with the “spot” because it is situated on the terrace of this important department store of Mendrisio in Switzerland, in which impossible designing any kind of covering. 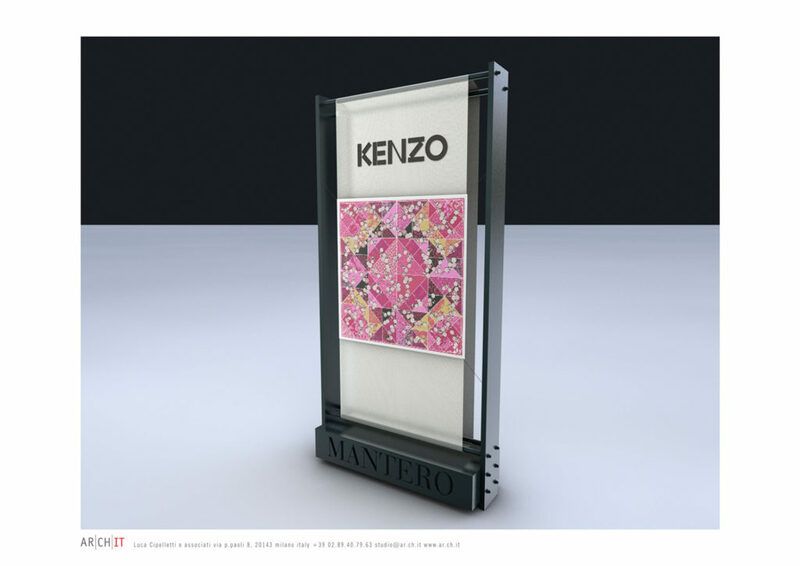 In addition, the architect had to find an exhibition solution where clearly distinctions the brand Mantero and the other brands in which is commercially licensed (like Viktor&Rolf, Christian Lacroix, Nina Ricci, Kenzo and others). 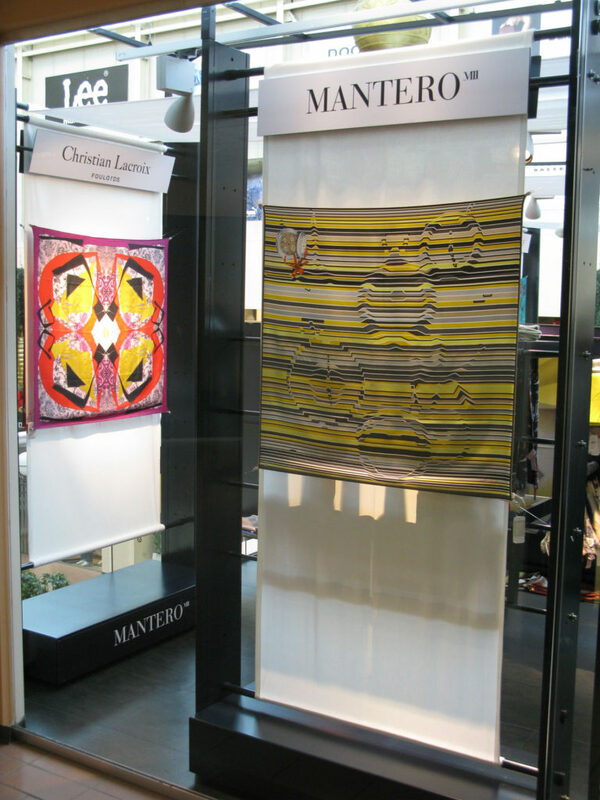 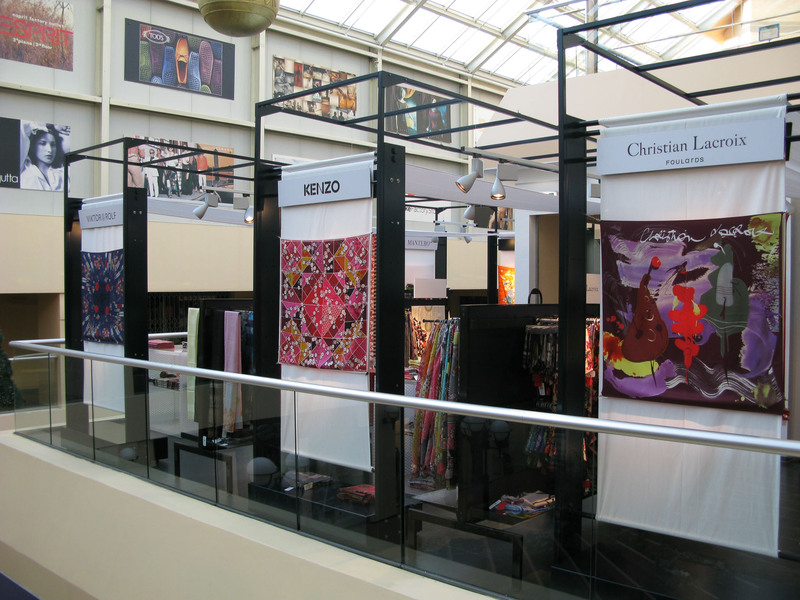 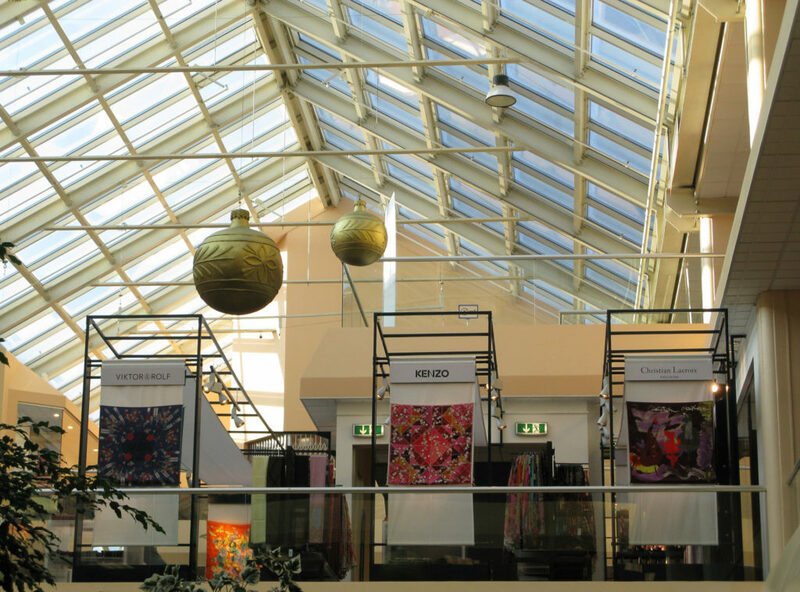 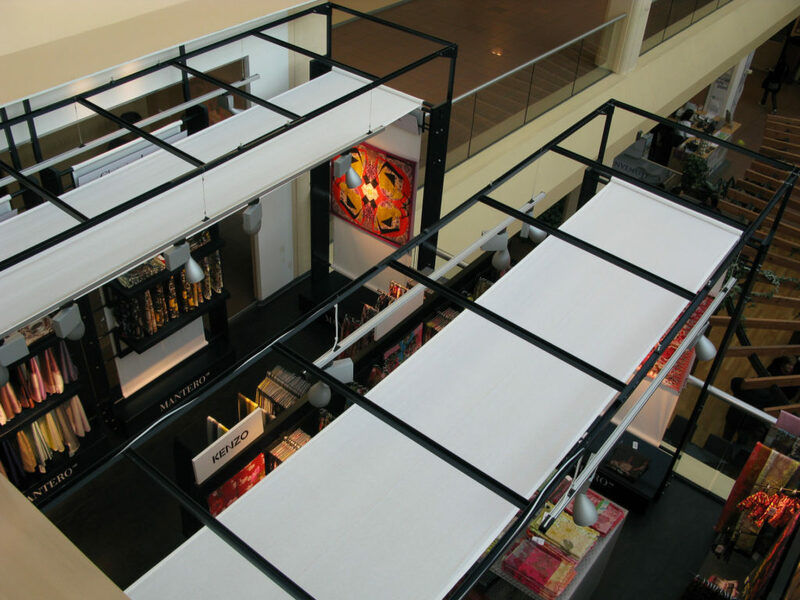 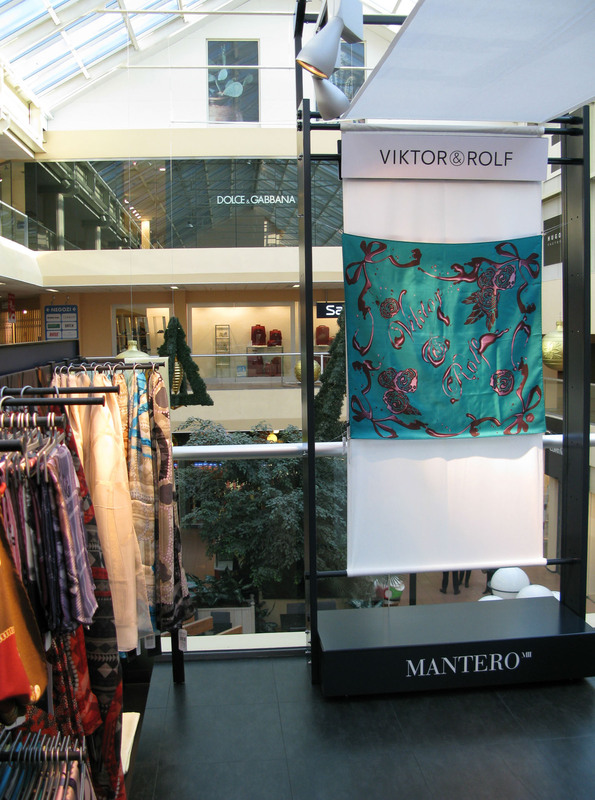 An exhibition system was build using fabric frames marked by Mantero, made by 90 cm fabric rolls (like the foulards) on which are hanging the products of all brands Mantero works for. 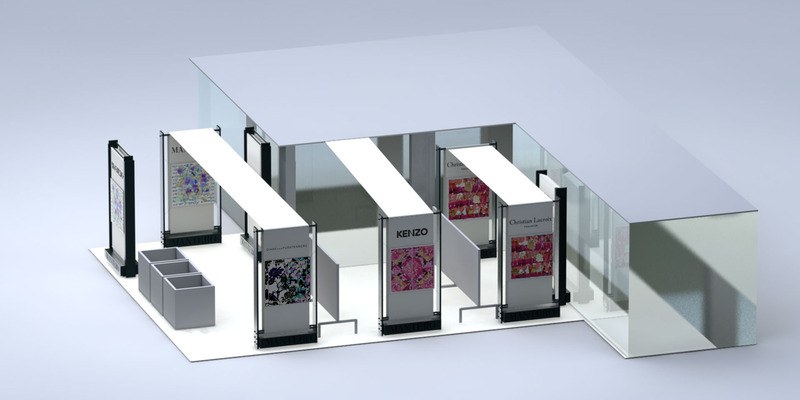 These frames are modular and can be enriched with many materials in order to show all products.